In case while you are connecting the flash drive, external hard drive, printer or other USB device in Windows 10, and you are facing with error USB Device Not Recognized, this guide should help to solve the problem. This error can occur with USB 3.0 and USB 2.0 devices. The reasons why your Windows 10 operating system does not recognize the USB device can be different (there are really a lot), and there is a lot of solutions of the problem, and some will work for one user, while others — for the another. We will try not to miss anything in this guide. How to fix USB Device Not Recognized error in Windows 10? First of all you need to make sure that the problem is not related to malfunctions in the USB device itself (this, at least, will save your time). Try to connect the problem device to another computer or laptop and check if it works there. If not, the most likely reason for the problems with the device and methods below may not fit. Next, try to connect the device to a different USB port. Disconnect the USB device that is not recognized, and turn off the computer. Pull the power plug from the wall outlet, then press and hold the power button on the computer for a few seconds — it will remove the remnants of the charges from the motherboard. You can also remove the battery (+ 3V) from the motherboard for a few minutes. If a lot of equipment is connected to your computer (especially in the front USB port on the PC or through a USB hub), try disabling the part of it that is not needed right now. Make sure that you do not exceed the total required power for USB devices. 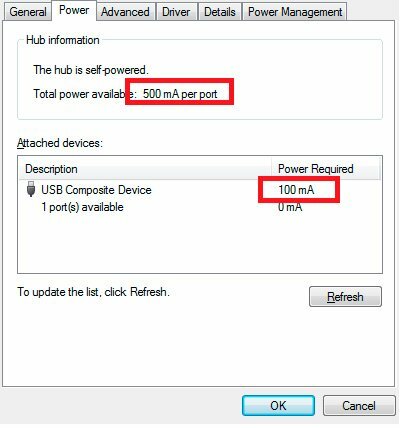 You can check value of total available and currently required power in the settings of USB hub device (Device Management -> Universal serial Bus controllers -> USB Root Hub -> Properties -> Power). If one of the above tips helped you, it is not necessary to continue reading this article. 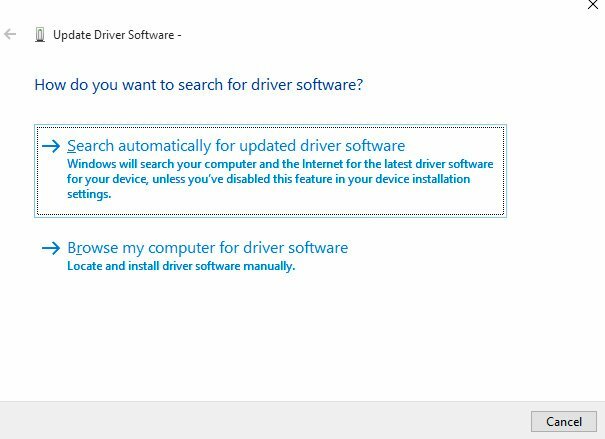 Right-click on your Unknown device and select Update Driver Software> Search automatically for update driver software. When connected to the Internet, Windows will attempt to automatically find and install the appropriate driver. Right-click on the device, select Properties, then click button Roll Back Driver on the Driver tab, if it is available, and if not — Uninstall to remove the driver. Then in Device Manager click the Action ->Scan for hardware changes. Check whether your device is identified now. 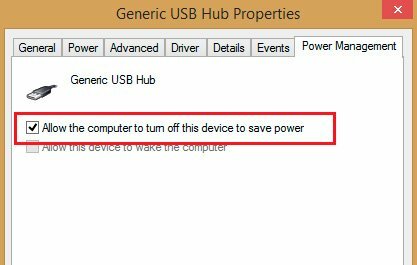 Next try to go into the properties of all devices with names Generic USB Hub, USB-root hub or USB Root Controller and on the tab Power Management uncheck Allow the computer to turn off this device to save power. Another way, which can help when system displays USB device error code 43 in the description of the problem: for all listed in the previous section devices, try to perform the following actions: Right-click -> Update Driver Software -> Browse my computer for driver software -> Let me pick from a list of device drivers on my computer. In the list you will see the compatible driver (which is already installed). READ ALSO: What is a CTF Loader (ctfmon.exe)? 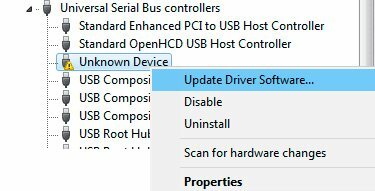 Select it and click Next — after reinstalling the driver for the USB controller, that is connected to an unknown device, it can be recognized correctly. On laptops with Windows 10 operating system error USB device not recognized is quite common for external hard drives and flash drives, connected via USB 3.0 port. To solve this problem, you must change the power scheme settings for your laptop. Go to the Windows Control Panel -> Power Options, select the power scheme that is used, and then click Change plan settings -> Change advanced power settings. Then, in the USB settings section disable USB selective suspend. 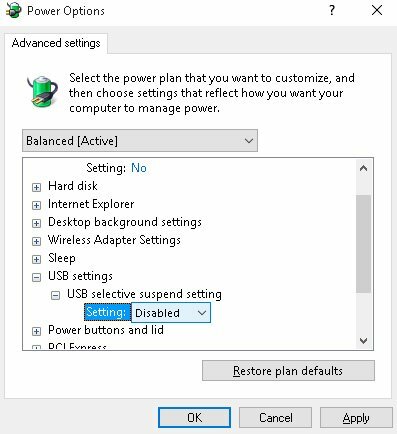 We hope that some of the above tips will help you to solve the problem with the error USB Device Not Recognized in Windows 10. How to Pin a File to the Taskbar in Windows 10? How to Change Mouse Cursor Size in Windows 10? 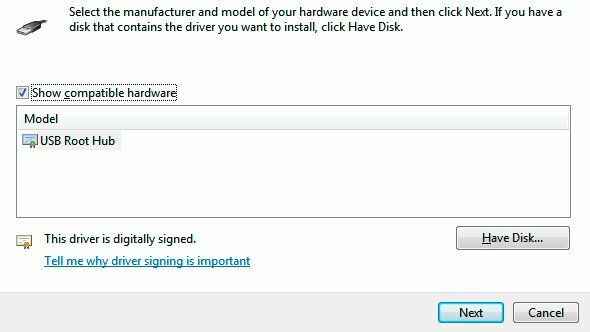 i am using Windows 10 X64, i can fixed digital driver signature problem with F8 startup repair but but after trun off pc next time it show same digital driver signature problem “1200”. Have any permanent solution for this problem in Windows 10 Pro X64 ?